Guadalupe Rivera Saavedra was born on the 30th January 1972, in La Barca, Jalisco, Mexico. 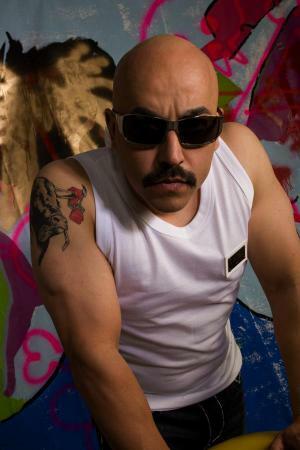 Better known by his stage name Lupillo Rivera, he is now an American musician, singer and songwriter, who has released more than 20 albums, including “El Señor De Los Cielos”, “Entre Copas Y Botellas”, and “Tu Esclavo Y Amo”, for which he won a Grammy Award. His career in the world of music has been active since 1993. So, have you ever wondered how rich Lupillo Rivera is? According to authoritative sources, it has been estimated that Lupillo’s net worth is over $12.5 million as of mid-2016. The main sum of this money has been accumulated through his successful career as a musician. Lupillo Rivera was brought up with a brother, and sister named Jenni Rivera who was an actress and singer but who died in a plane crash, by their parents Rosa Saavedra and Pedro Rivera. He spent his childhood in Long Beach, California, as the family moved there when he was only four years old. There he attended Long Beach Polytechnic High School, from which he matriculated in 1990. Right after his matriculation, in the 1990s, Lupillo’s career in the entertainment industry began, when his father appointed him as a talent agent for his own record company called Cintas Acuario. However, he soon left the position, and began recording his own music. His first album came out in 1995, entitled “Selena, La Estrella”. In the beginning, Lupillo performed under the name “El Torito”, and later changed his name to “El Toro Del Corrido”, but eventually started performing under the name of Lupillo Rivera. By the 2000s, he had released two more albums, entitled “El Moreno” (1999), and “Puros Corridos Macizos” (1999), and with the beginning of the 2000s, his career reached a whole new level, which only increased his net worth, with the album “Despreciado” (2001), which became his first album that topped the Billboard Top Latin Albums chart, and he also won two Billboard Latin Music Awards. His next successful album was “Amorcito Corazon”, released in 2002, and two years later, his album “Con Mis Propios Manos” topped the US Billboard Top Latin Albums chart, which increased his net worth by a large margin. To speak further of his accomplishments, Lupillo has released albums “Entre Copas Y Botellas” (2006), “Desde Una Fiesta Privada” (2007), “El Tiro De Gracia” (2008), and his latest studio album “24 Horas” (2010), all of which have added to the overall size of his net worth. Thanks to his skills, Lupillo has received numerous prestigious awards, and nominations, including a Grammy Award in the category for Best Album, for his “Tu Esclavo Y Amo” in 2010. Furthermore, hewon the Lo Nuestro Awards in the category for Regional Mexican Male Artist of the Year in 2002, among others. When it comes to speak about his personal life, Lupillo Rivera has been married to Mayeli Rivera since 2006; the couple has two children. However, he announced in a Spanish talk-show that he is the father of eight children in total, one of whom was adopted. 1 Uncle of Chiquis Marin Rivera, Jacqui Marin, Michael Marin, Jenicka Lopez and Johnny Lopez. 2 Son of the actor, singer, & composer Pedro Rivera. 3 Brother-in-law of Esteban Loaiza. 4 Brother of singer Jenni Rivera, singer Juan Rivera, pastor Peter Rivera.